Dr. Marvin ‘Rick’ Sponaugle has been warmly welcomed as “Best in Medicine” by the American Health Council. Drawing on over 17 years of service, Dr. Sponaugle’s expertise lies in brain toxins that cause brain infections, and using integrated medicine to help cure patients. Dr. Sponaugle became involved in his current profession after his daughter was bed-ridden with Lyme disease for 2 years. Dr. Sponaugle wanted to help heal his daughter as well as others who suffer from similar diseases. His interest in medicine was also fuelled by meeting many doctors in medical school, who inspired him to pursue his studies in medicine. Having obtained his Medical Degree from West Virginia University in 1982, Dr. Marvin Sponaugle furthered this achievement with an Anesthesiology Residency at the University of Florida and an Internal Medicine Residency at Charleston Area Medical Center. In 1987, he became Board Certified by the American Board of Anesthesiology, with further Certification from the American Society of Addiction Medicine in 2004. For the past 17 years, Dr. Sponaugle has upheld the position of Medical Director at Sponaugle Wellness Institute, which combines the best of Western Medicine and Natural Medicine to assist healing of patients with chronic illness. 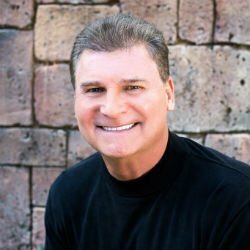 Dr. Sponaugle is an Integrative Physician who attempts precise diagnosis through quality forensic medicine; the analysis and correlation of approximately 500 numerical biomarkers enables Dr. Sponaugle to better determine the true causation of sickness, and to better prioritize individual treatment. With emphasis on Environmental Medicine, Dr. Sponaugle specializes in treating Brain and Neurological disorders derived from severe Neurotoxicity. Most patients require simultaneous treatment for multiple issues including: Mold Toxicity, Industrial Toxicity, Gut Toxicity, Neurological Lyme disease and five additional stealth infections that are attacking the Brain and Neurological system. On a daily basis, the esteemed doctor’s responsibilities include treating patients from all over the world, working with the nursing staff, treating neurological Lyme disease, neuro toxicity diseases, and research of natural resources to help treat patients. Over the course of his illustrious career, Dr. Sponaugle has received numerous accolades including; being honoured by the Alpha Epsilon Delta National Chemistry Honor Society and Who’s Who in American Colleges and Universities, as well as proudly receiving a Beta Theta Pi National Merit Scholarship. He attributes his success to his hard work and dedication, his friendly personality and his passion for his work. Keen to remain ahead in his profession, Dr. Sponaugle is a member of the AAEM – American Academy of Environmental Medicine, the ILADS – International Lyme and Associated Diseases Society, the ACAM – American College for the Advancement of Medicine and the ASAM – American Society of Addiction Medicine. Over the next five years, Dr. Sponaugle hopes to expand his centers into other parts of the country. When not busy working, he enjoys playing chess, tennis, and swimming, whilst also participating in charitable work including Mission Trips. Sponaugle Wellness Institute combines the best of Western Medicine and Natural Medicine to assist healing of patients with chronic illness. Marvin “Rick” Sponaugle is an Integrative Physician who attempts precise diagnosis through quality forensic medicine; the analysis and correlation of approximately 500 numerical biomarkers enables Dr. Sponaugle to better determine the true causation of sickness, and to better prioritize individual treatment.